We will deliver a series of enterprise and media workshops for aspiring entrepreneurs and local businesses, and host a popup radio and video broadcast that reaches a London-wide audience. Through Reprezent FM we will host a series of mobile broadcasts hosted by young presenters that promote businesses and events London-wide. In conjunction with this we will deliver media and enterprise workshops to facilitate business growth. 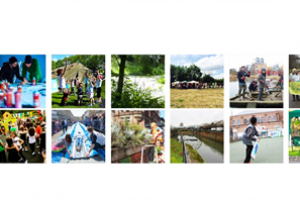 This project focuses on Copeland Park in Peckham which hosts a number of small businesses, creative freelancers and events. Due to its positioning it attracts less visual presence and footfall than the high street. Consultation with local businesses and young people identified a need to raise the profile of services, activities and events to increase visitors and customers. Young people wanted new skills to kick-start enterprise ideas whilst businesses wanted improved marketing skills. Deliver 10 workshops in media, broadcast Journalism, communication skills, business start-up training. Host pop-up radio and video broadcasts over a 3 month period within underused space in Copeland Park. Work with small businesses and event organisers to create promotional radio and video features to broadcast London-wide. This project is innovative and will deliver high impact. 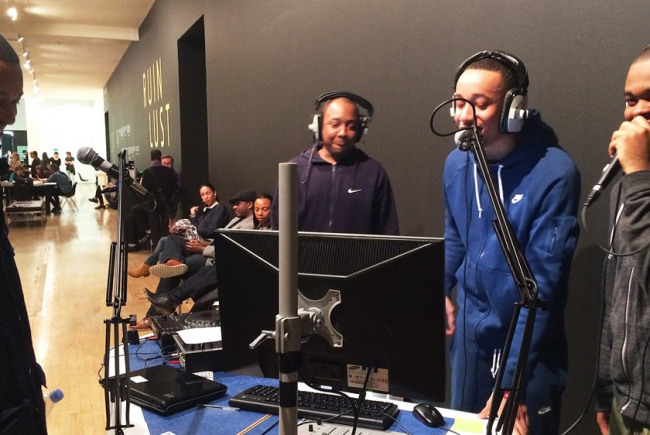 A popup radio and video platform will promote businesses and events through Reprezent FM to reach a London-wide audience of over 120,000. The popup will make use of different spaces becoming an attraction in its own right. Workshops will run alongside the popup to add value to businesses and young people involved, this will also provide content for the broadcast. We have the support of 11 local businesses, 50 young people, Copeland Park owner, and Peckham Vision. This project adds value to Peckham by promoting what is happening in the area and feeding into local regeneration projects. We have delivered many similar popup projects and have extensive experience in media, employment and enterprise training with a network of partners to add value. On completion of this project we aim to attract further investment from larger companies to extend and add value to the project as a whole. A detailed broadcast schedule will be created involving businesses, events and activities. A detailed project plan will be created and we will assign a team of people with the skills to deliver this project. Businesses and young people will be recruited onto this project. A workshop schedule will be populated. London-wide radio and video broadcasts take place over a 3 month period. Additional mobile broadcast equipment will be purchased and the mobile popup space will be fitted. Partnership roles will be established to support workshops and broadcast features. We will ensure we support and add value to existing initiatives and regeneration whilst attracting new partners to support this project as a permanent fixture in the area. Project Delivery Manager: Reprezent The Project Delivery Manager takes legal responsibility for receiving and spending the funds raised and ensuring the project is delivered. Contractor: Reprezent The team responsible for building or installing the project.